A marvellous origins story for Carol Danvers. Would you like to know what you really are? In Captain Marvel, Carol Danvers becomes one of the universe’s most powerful superheroes when Earth is caught in the middle of a galactic war between two alien races. Luma was thrilled to join forces with Marvel Studios to deliver nearly 250 shots in the studio’s latest addition to the Marvel Cinematic Universe. 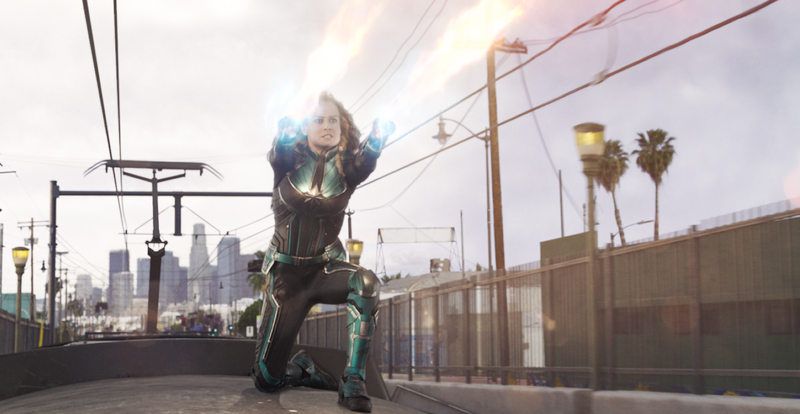 Luma’s biggest contribution to the film is the sequence titled “French Connection,” or the Train Fight scene which depicts Carol Danvers (Brie Larson) fighting atop a moving LA Metro train against a Skrull who has taken the form of an unassuming granny and who later shifts into a middle-aged man. Simultaneously, Nick Fury (Samuel L. Jackson) and Agent Coulson (Clark Gregg) race through the streets below to keep up with the train by car. While the train appears to speed by at a rapid pace with the characters fighting on top, it’s Luma’s visual effects magic working behind the scenes. Luma was tasked with keeping the sequence linear and successive. While the setting appears to be continuing down the tracks in a singular location in 1990s Los Angeles, the scene was actually shot in four different locations throughout the streets of L.A. The sequence travels through West L.A., East L.A., and eventually moves towards Downtown. “Chris Townsend, the overall VFX Supervisor, mentioned that Marvel Studios wanted the sequence to be done by a studio who had an office in Los Angeles, so that if we needed to, we’d be able to access the real world location for reference,” said Luma LA VFX Supervisor Kevin Souls. At the start of the action sequence inside the moving train, Carol punches an elderly woman (a Skrull in disguise) in the face, but rest assured, no grandmothers were harmed in the making of this scene. Luma photo-mapped the face of a granny onto the stunt actor’s body and added detailed paintwork to create the recipe that induced a jaw-dropping audience reaction. The fight then escalates to the top of the moving train. 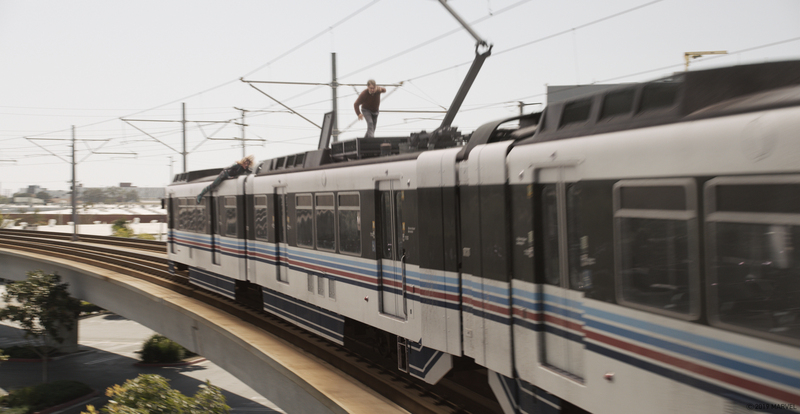 Given the inherent danger of filming this scene, all footage of the fight was captured with Larson and stunt actors with a bluescreen backdrop and a stationary train. Luma’s visual effects team mixed both actions of the actors, and for more complex action shots, Luma created a completely digital version of Carol. For safety reasons, the real-world camera was placed just above the train tracks, so the Luma team needed to refilm that scene from a higher angle to recreate the height of the train. Every scene taking place on top of the train was either a 2D or 3D recreation. To achieve a consistent and realistic moving background, Luma created a CG train to plan the layout within L.A., which helped determine the speed of travel and the speed of objects moving in the background. Luma constructed poles, powerlines and other mid-distance objects completely in CG by hand painting the images in array footage. The array footage was then projected onto geometry to match the alignment between the foreground and background. Call me young lady again, and I'm gonna put my foot in a place it's not supposed to be.